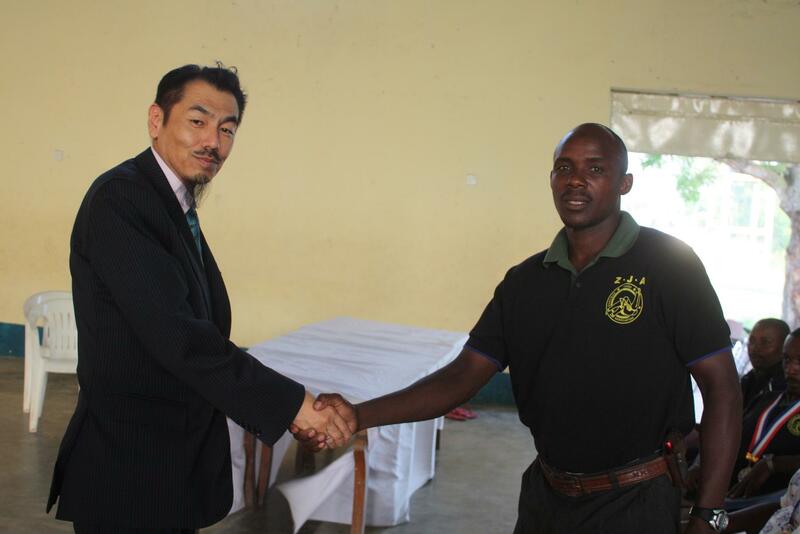 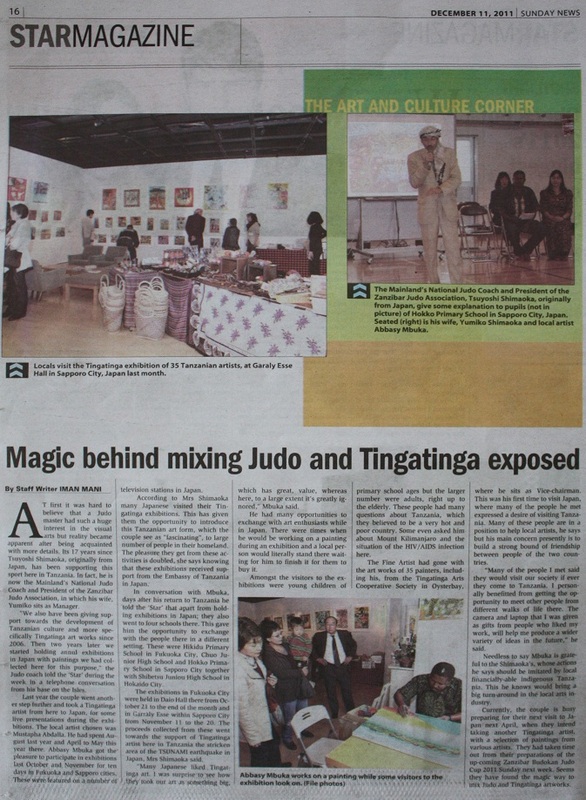 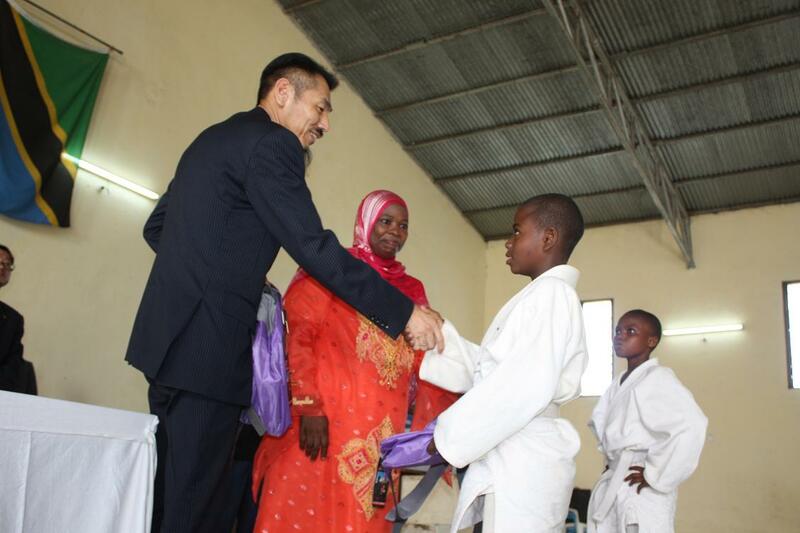 Mr.Shimaoka, President of Zanzibar Judo Association supports not only Judo, he also supports Tanzanian Culture, Tingatinga Arts. 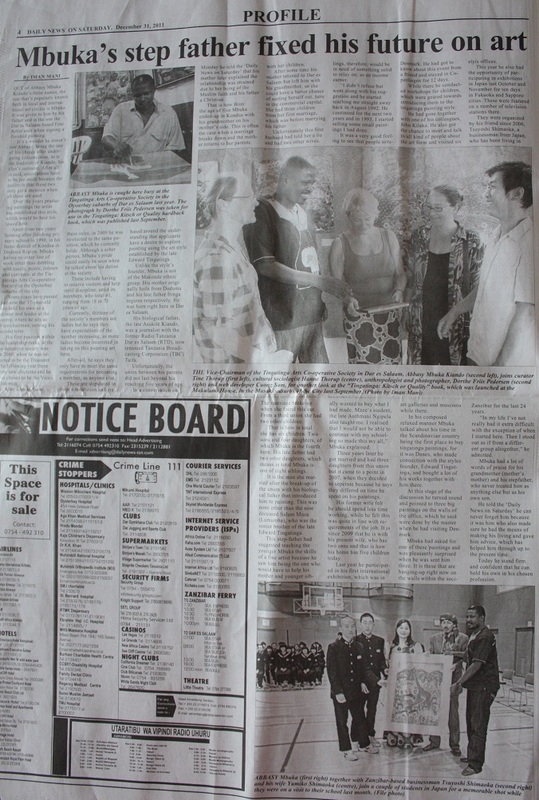 *if you click on the news you can see a big one and read it well. 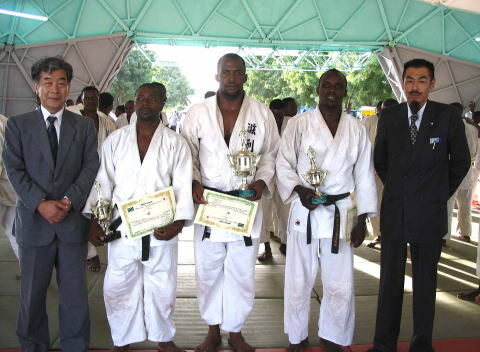 ZJA with Dr.Hidefumi INOUR awared to Ali Juma and Hamad Shaame for their efoots for long time on 31/Dec/2011 at Zanzibar Budokan. 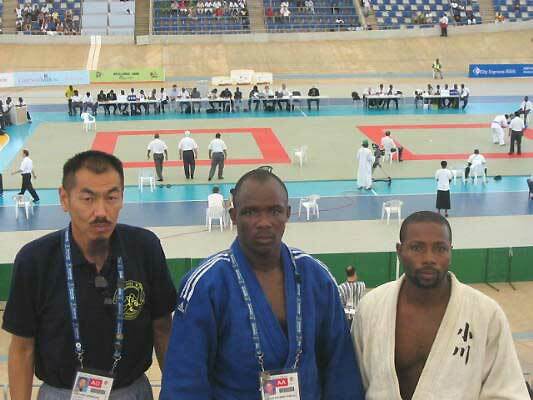 Ali Juma started Judo from 1992, Hamad started Judo from 1995. 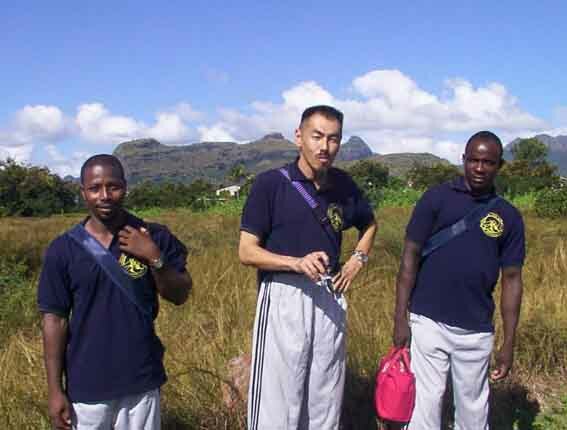 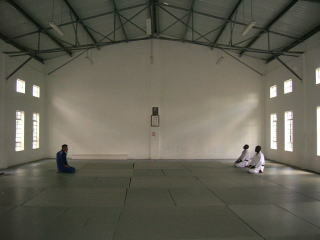 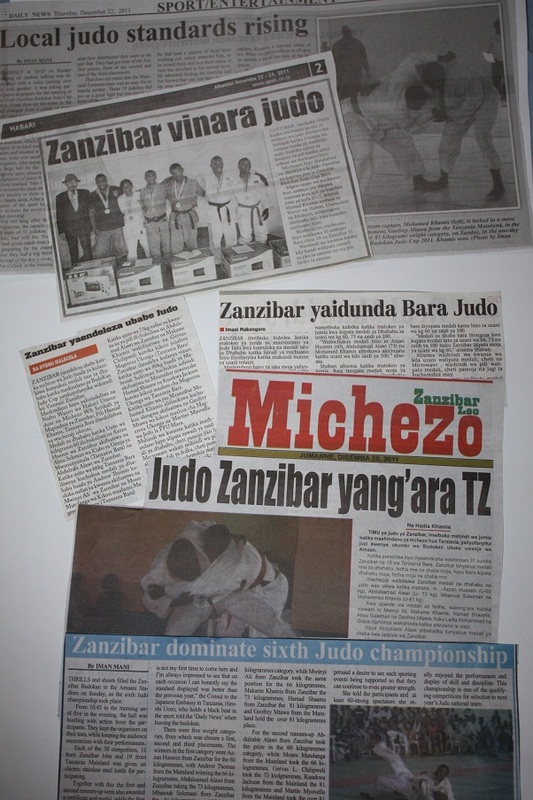 They made the foundation of Zanzibar Judo. 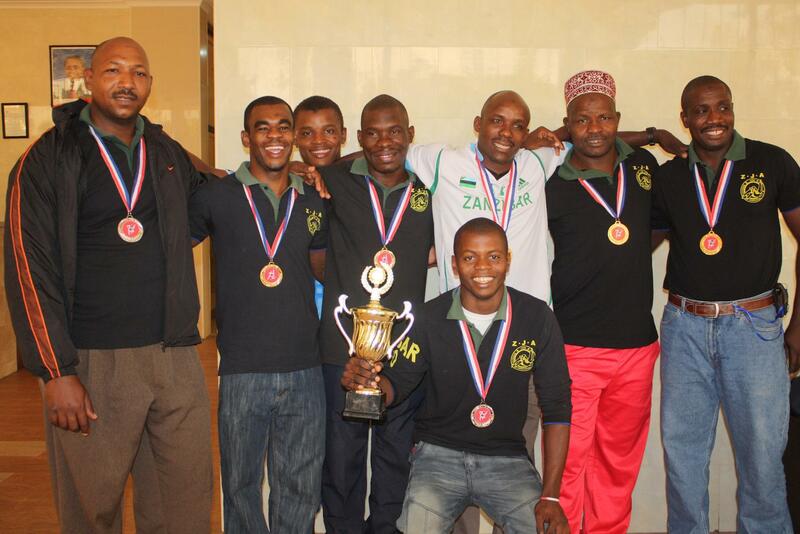 We are very proud of them and hope to become good coachers and referees! 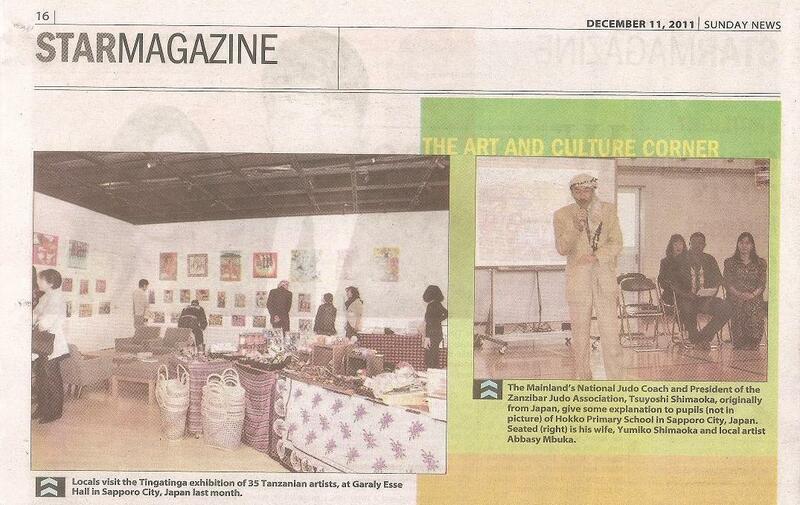 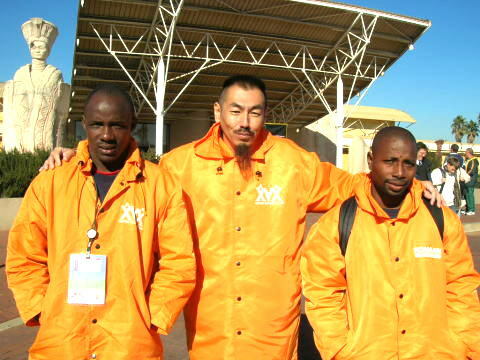 Thank you Kidege(Ali Jma) and Hamad! 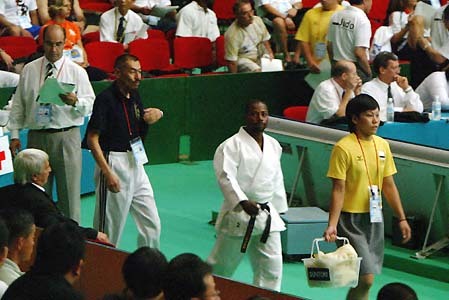 They participated many International Championships since 2003. 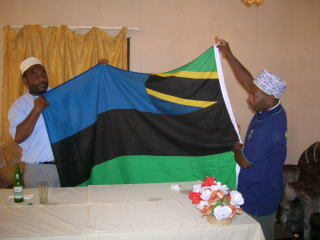 The ceremoney of Natinal Flag before going International championship by Ministry of Sports　Zanzibar and Tanzania Olumpic Committee.They were representative for Zanzibar and some times for Tanzania. 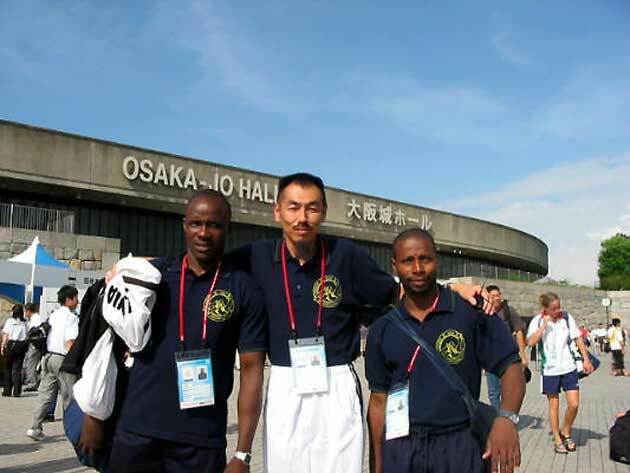 2006SouthAfrica We went many countries for Natinal Team consisted by two player , a coach and a manager. 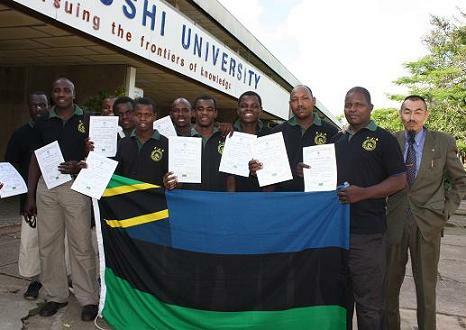 And then we increase National team members. 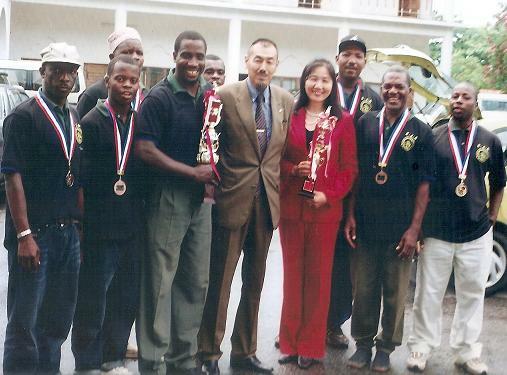 ZJA organized the International Championship in2009, it was first experience for us. 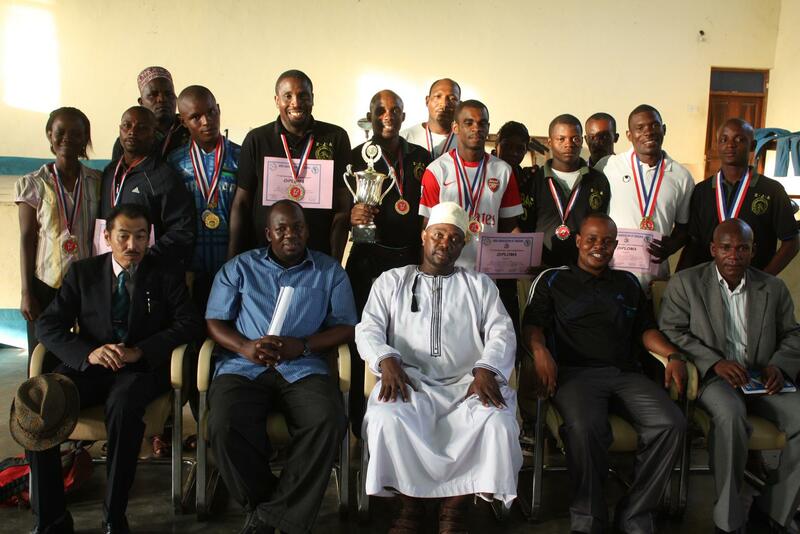 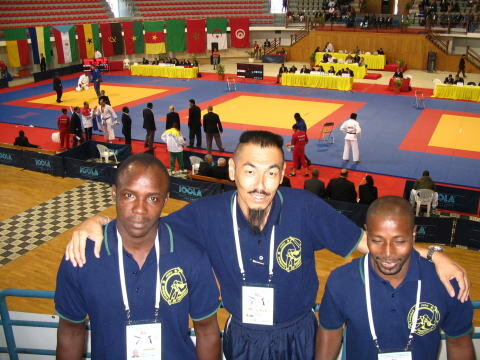 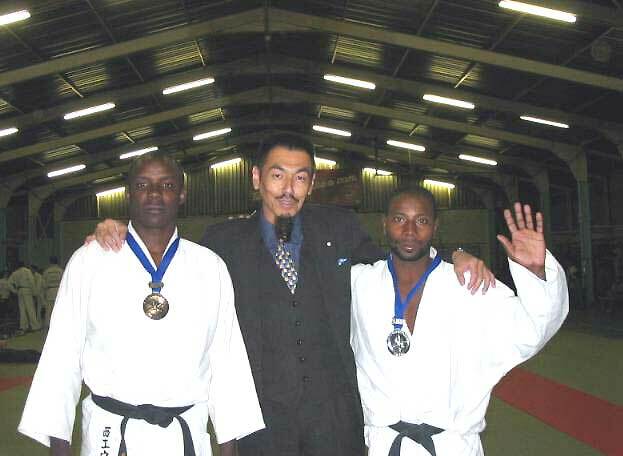 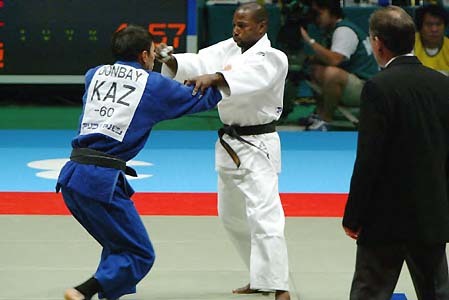 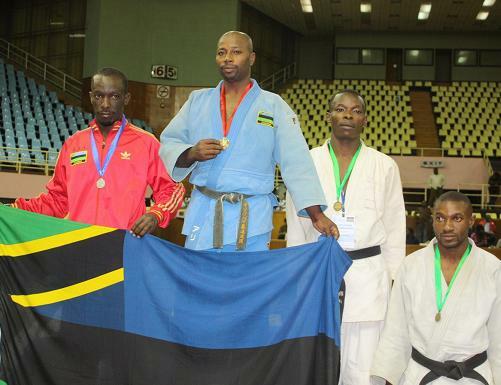 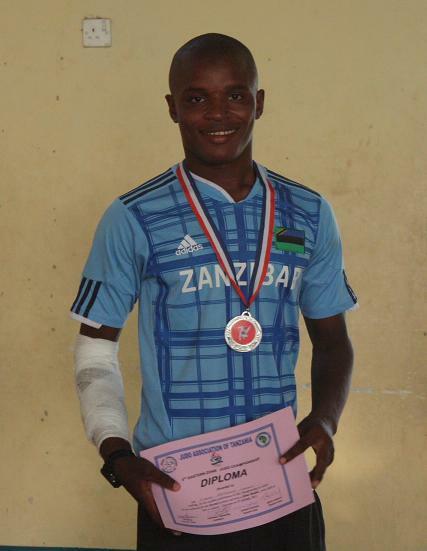 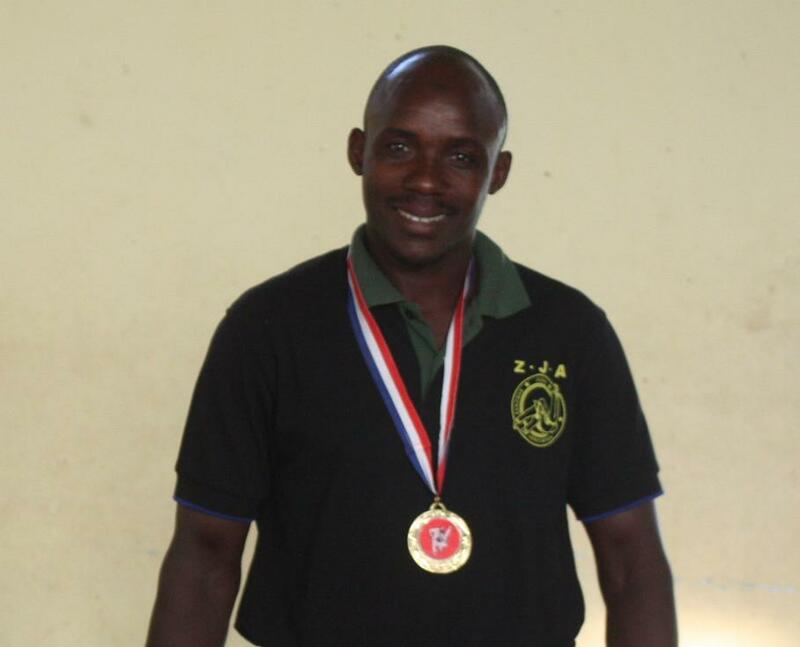 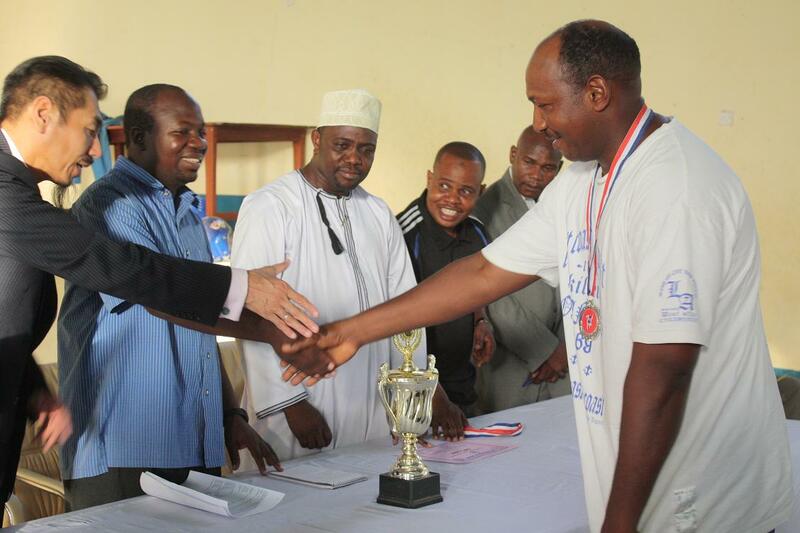 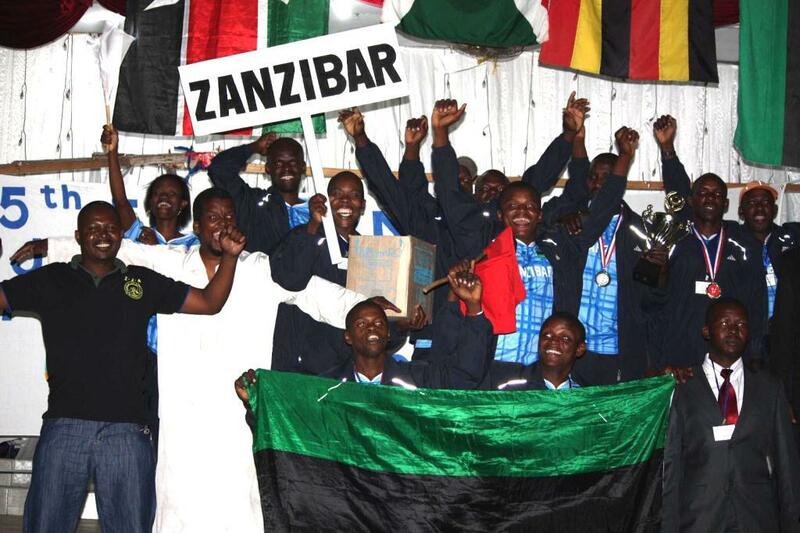 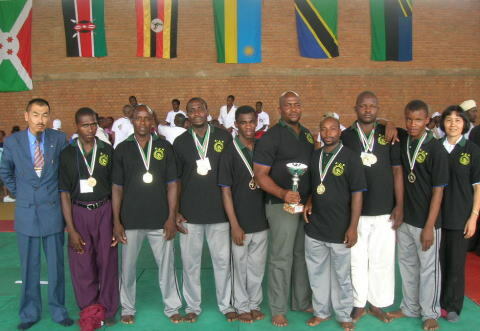 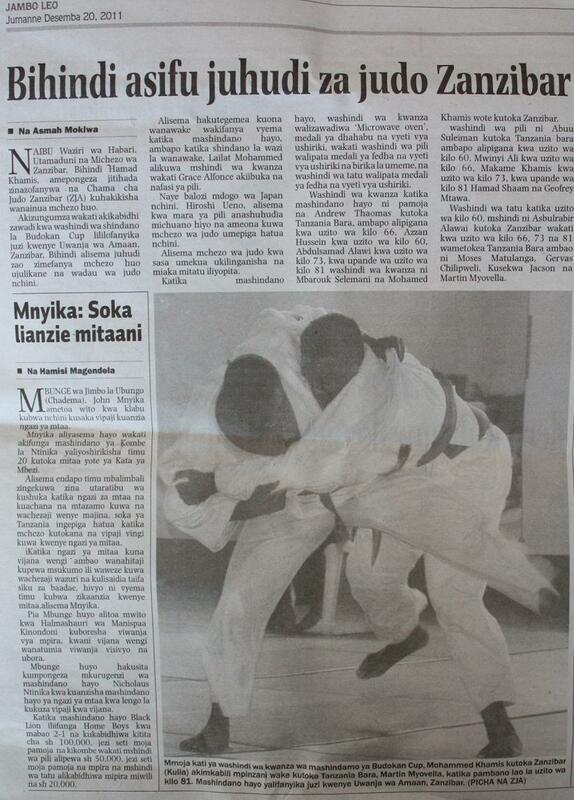 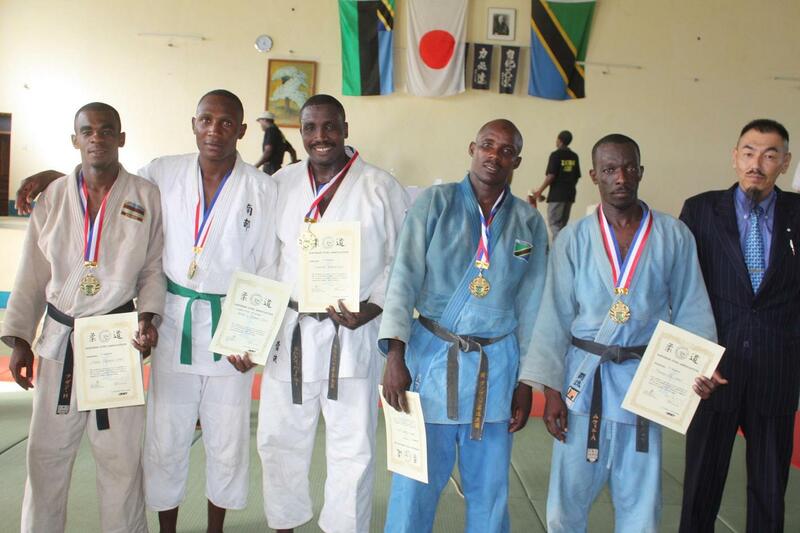 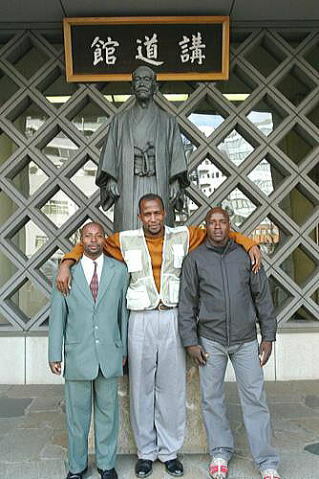 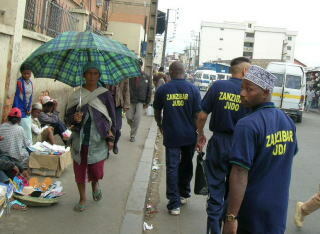 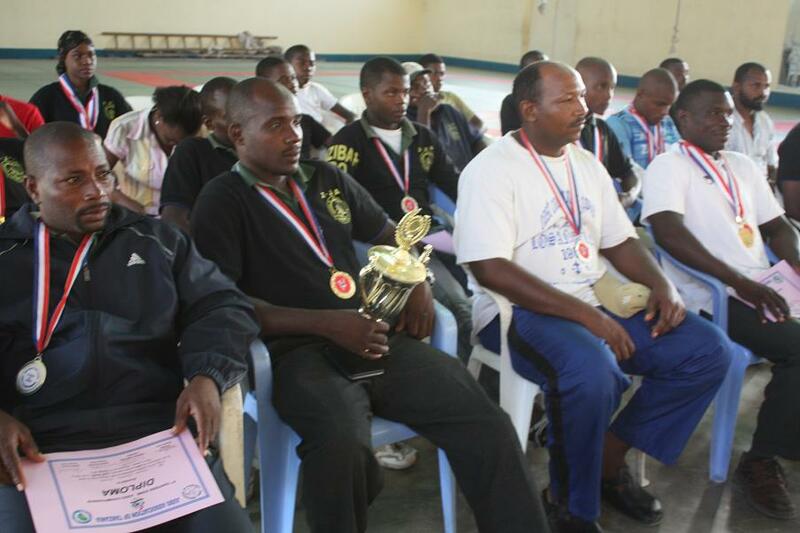 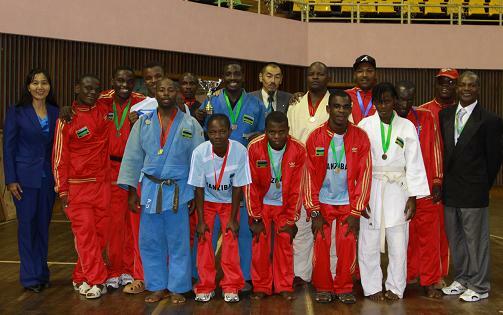 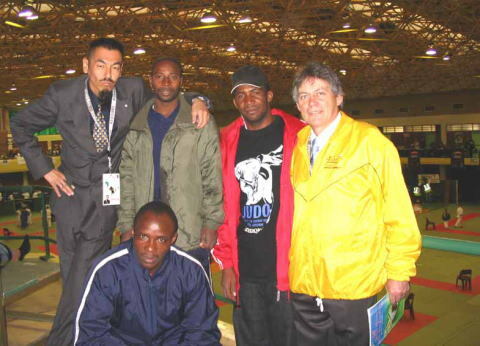 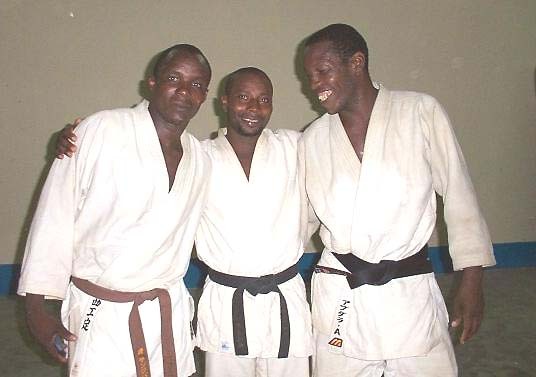 Zanzibar team got first Victory in East Africa JUDOChampionship2009. 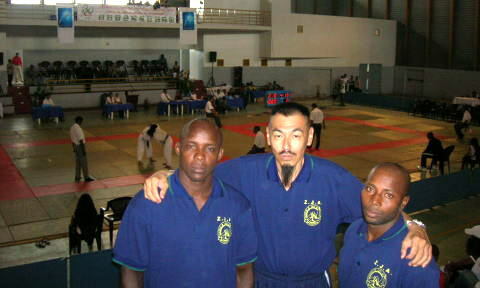 We do not forget your Judo and desplin! 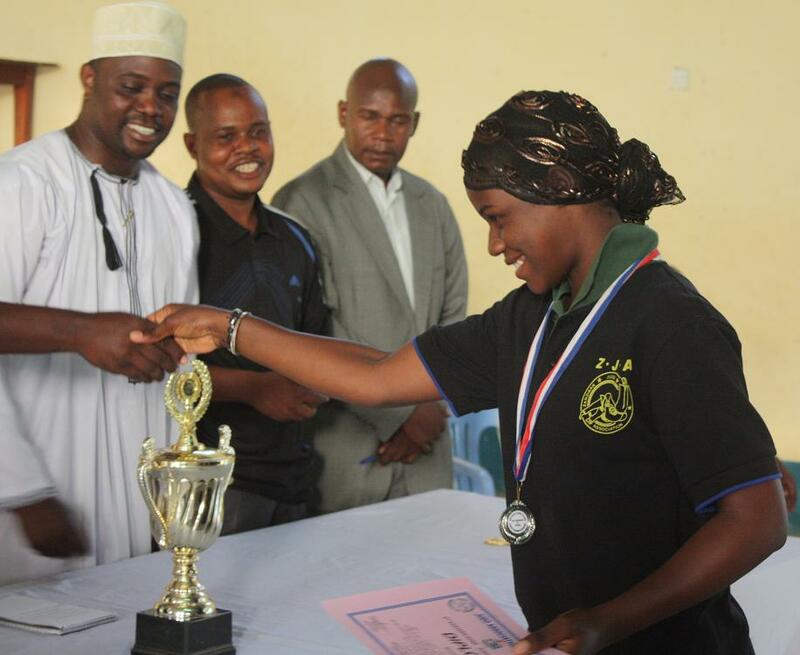 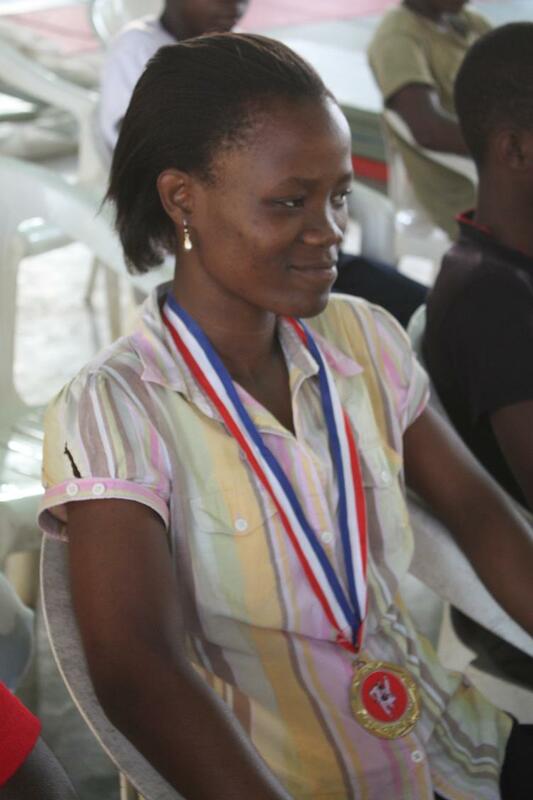 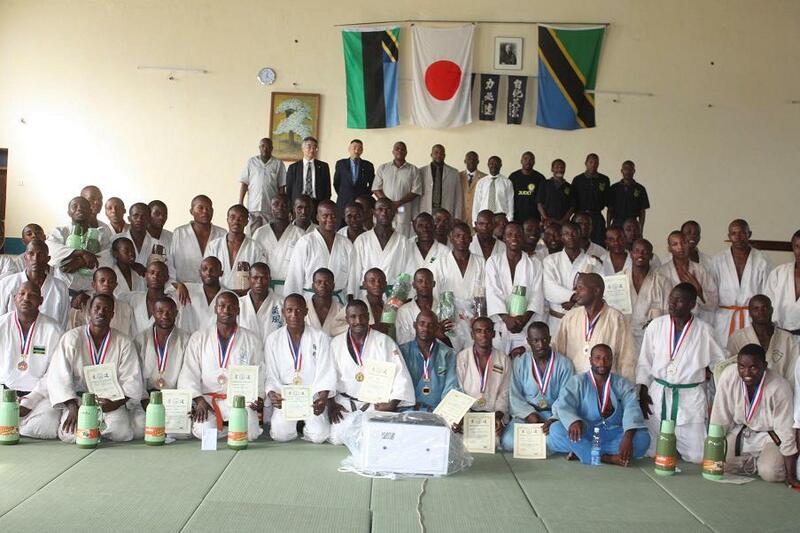 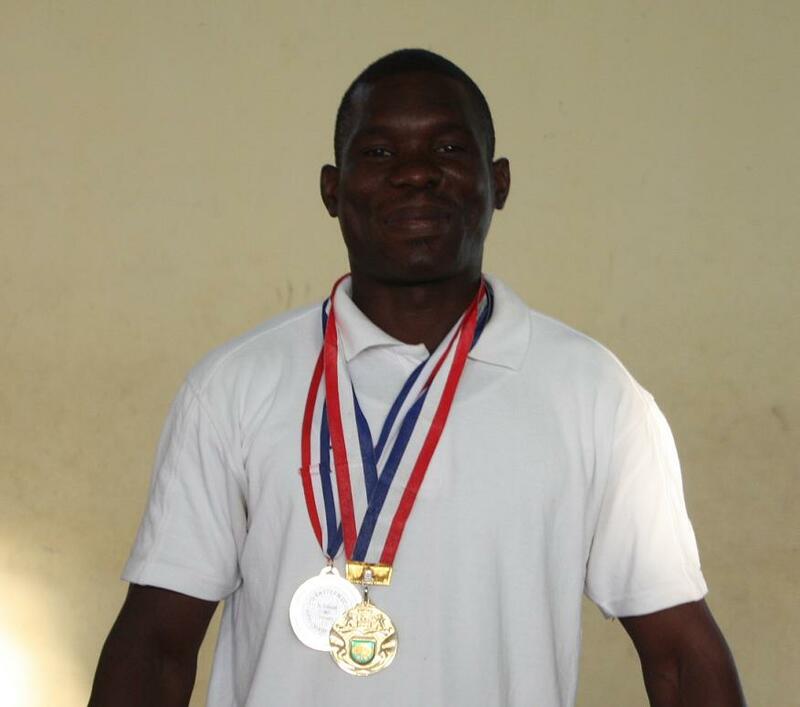 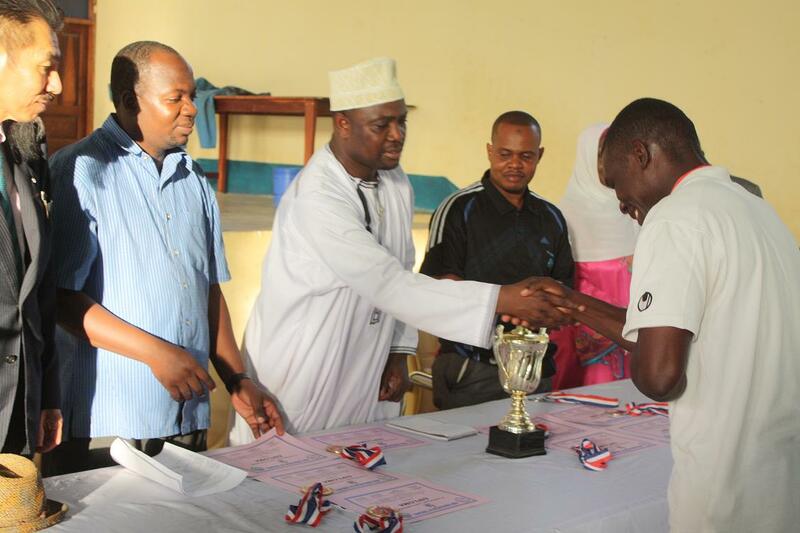 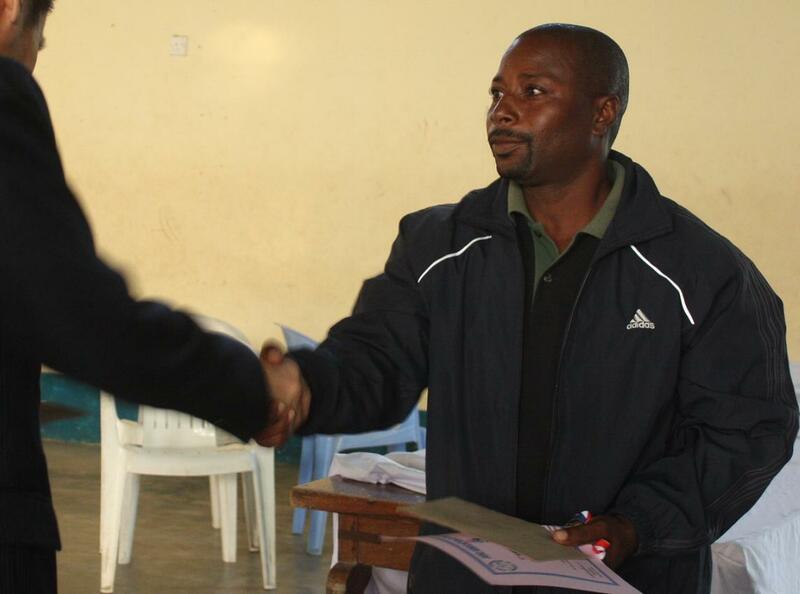 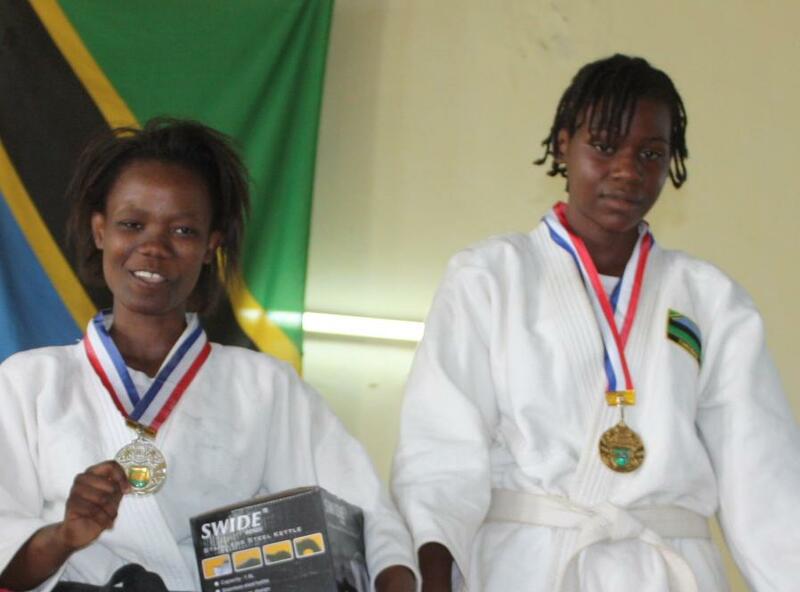 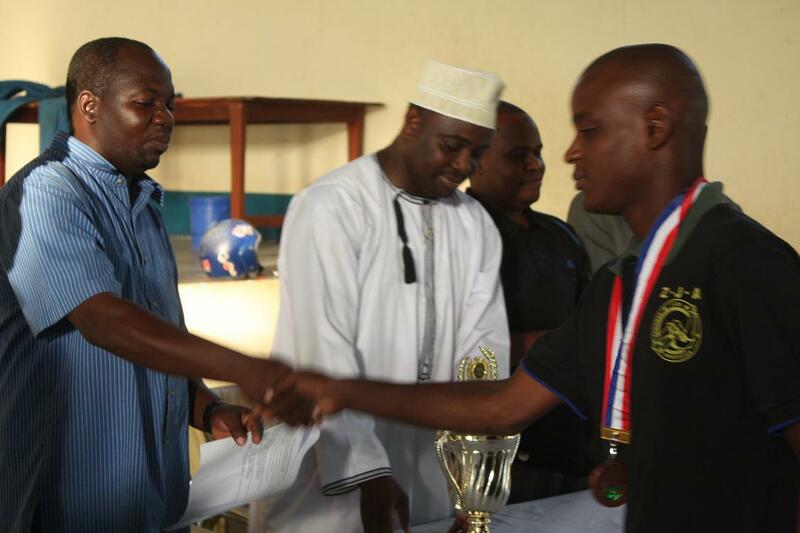 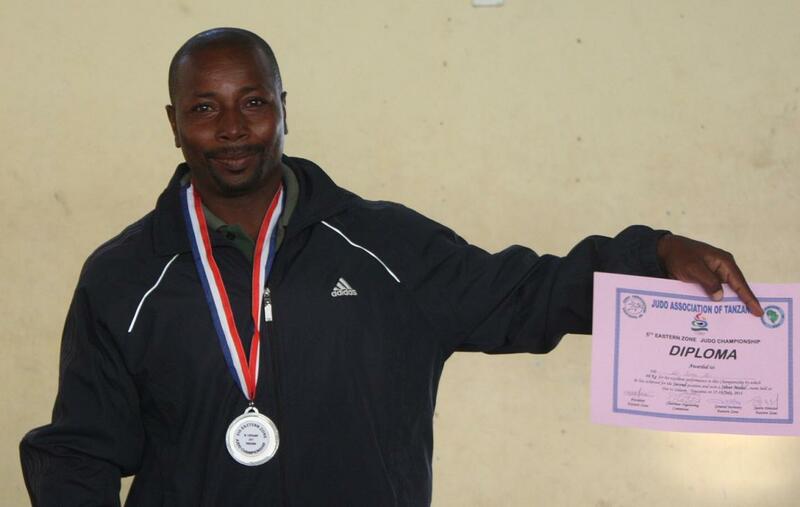 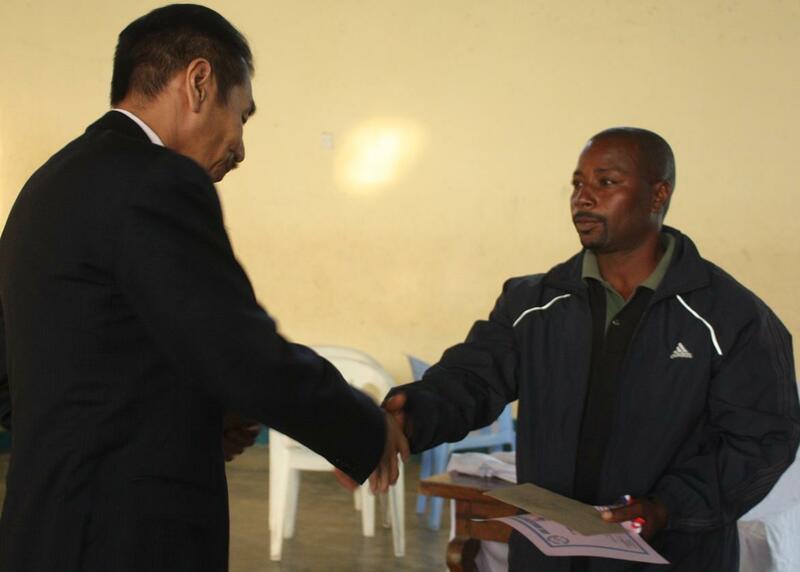 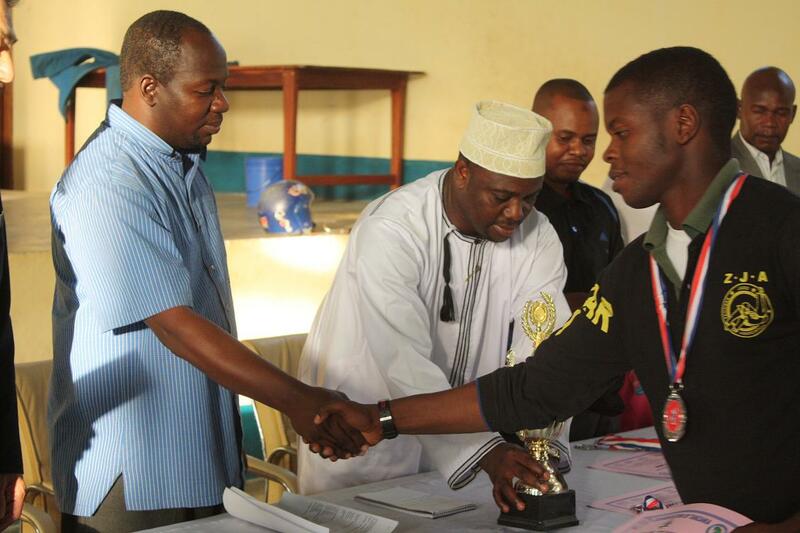 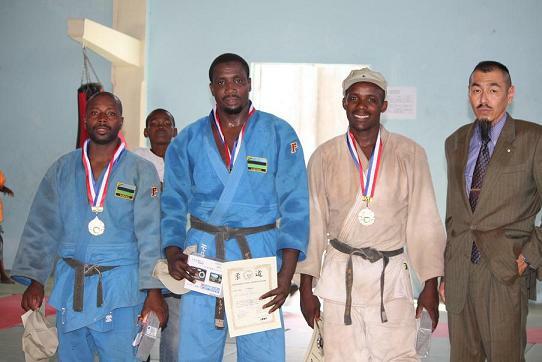 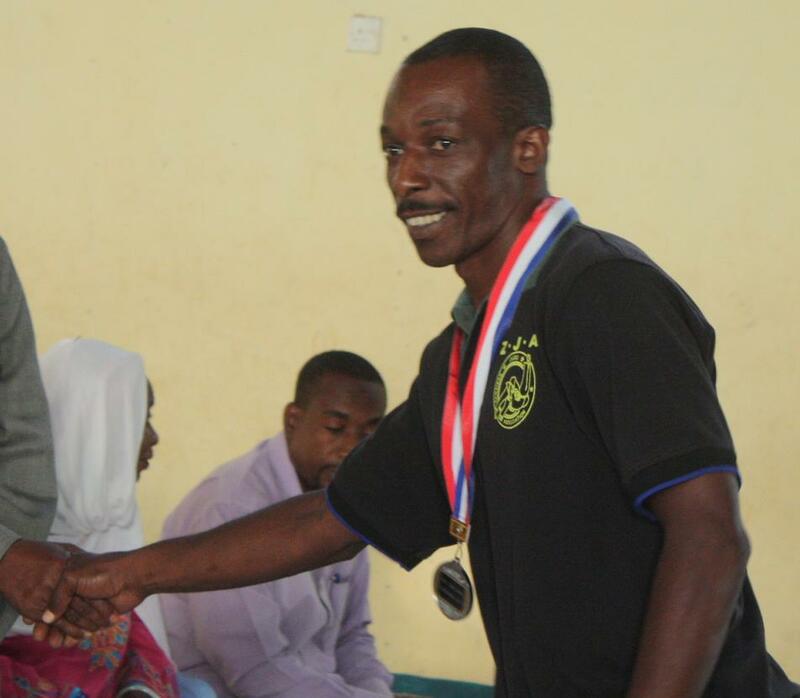 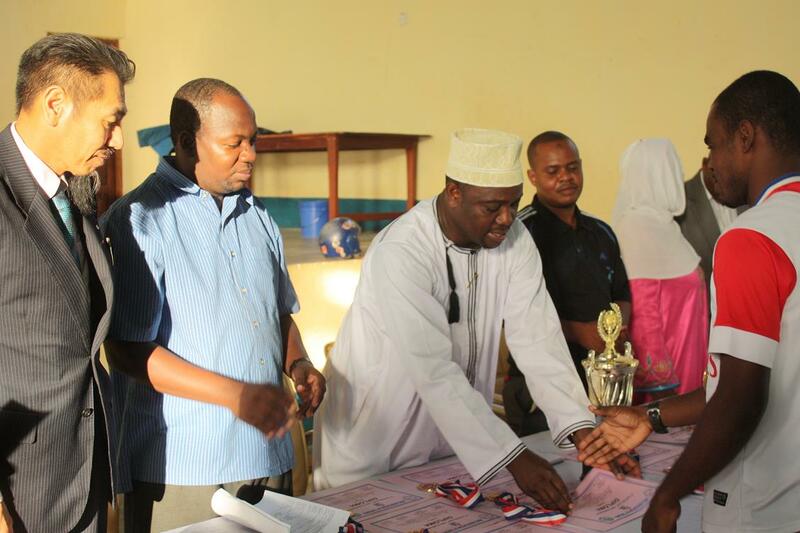 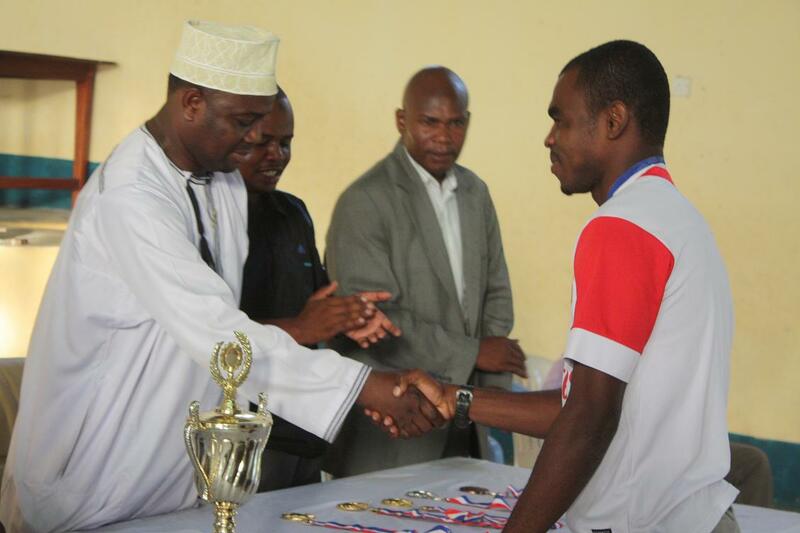 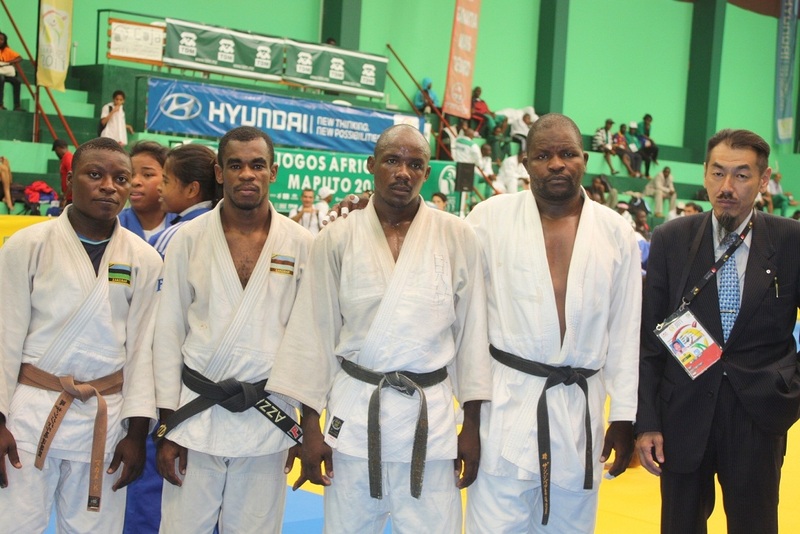 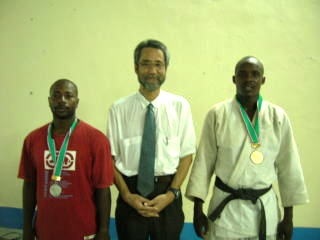 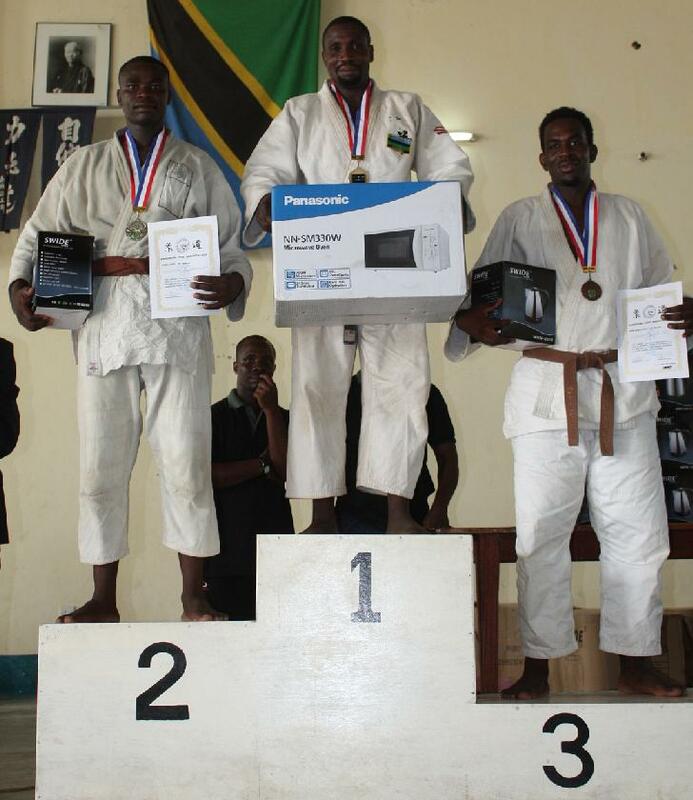 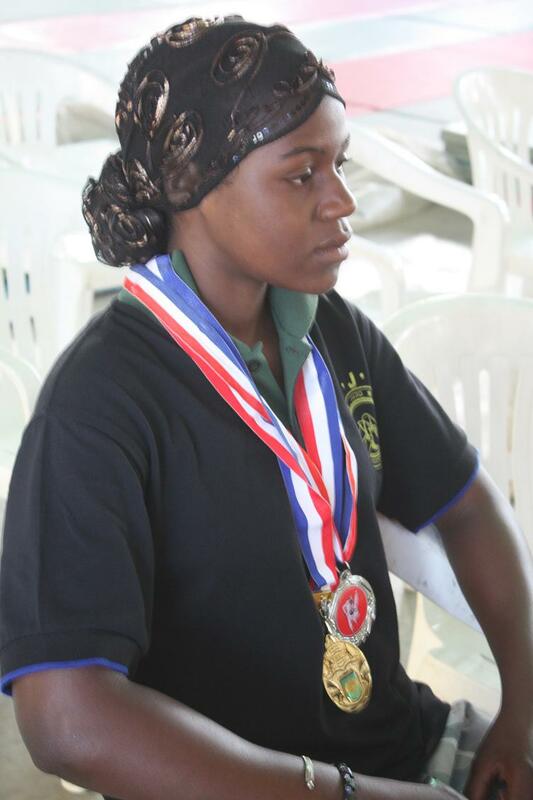 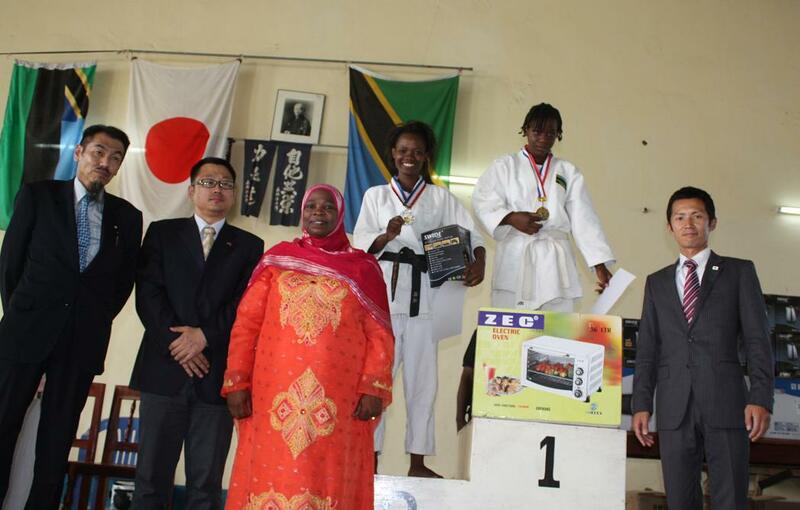 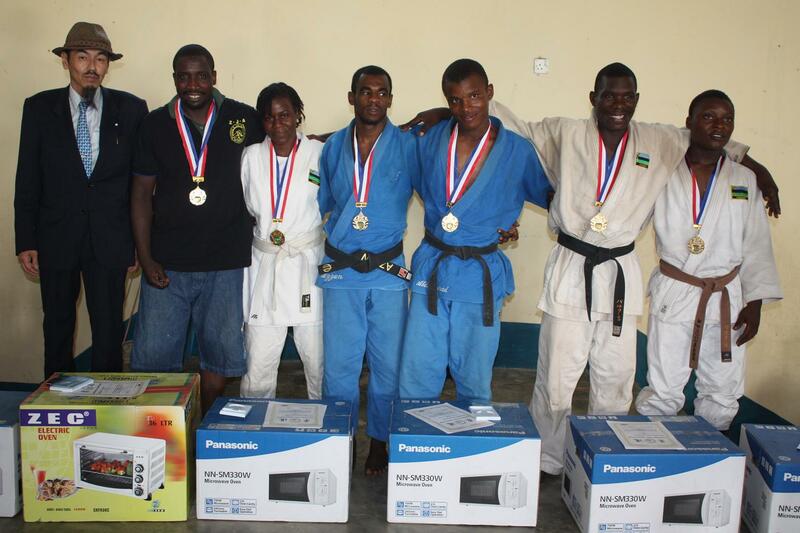 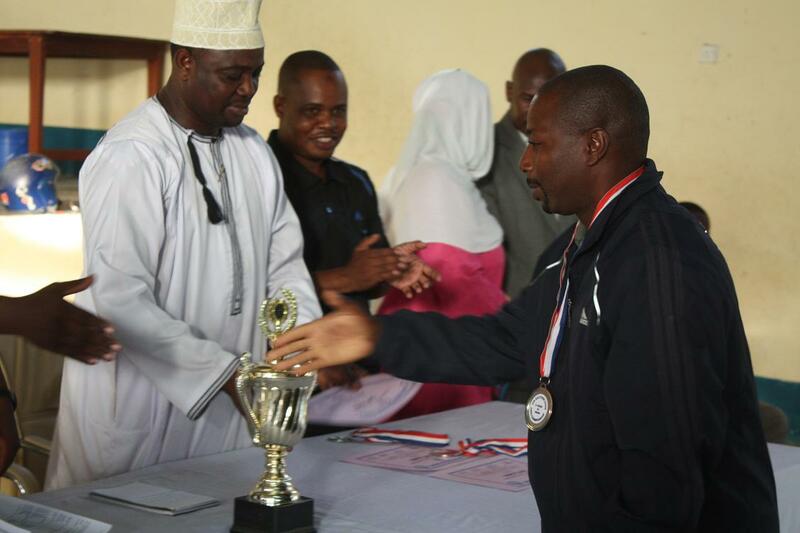 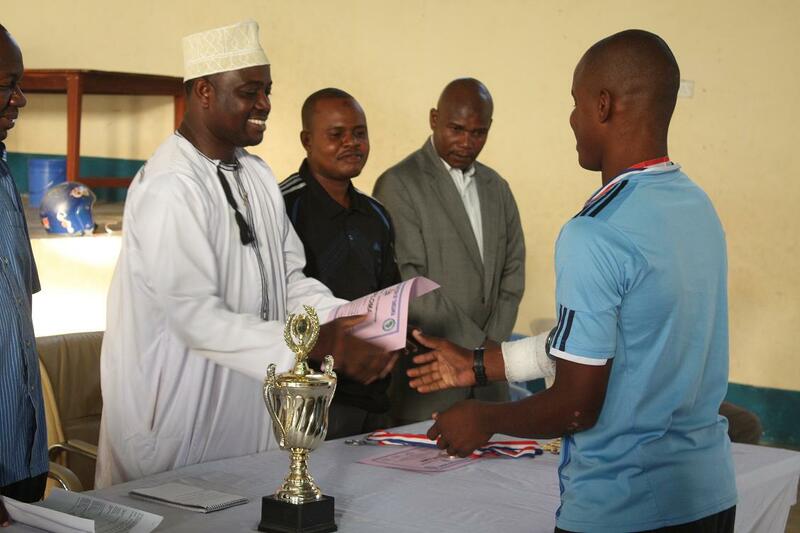 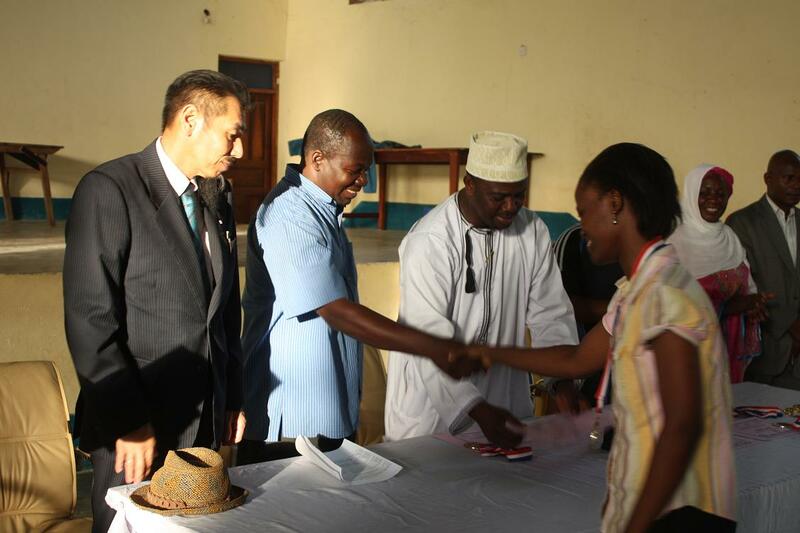 There was the awarding ceremoney for Medals of East Africa Judo Championship2011(July in Dar es salaam) . 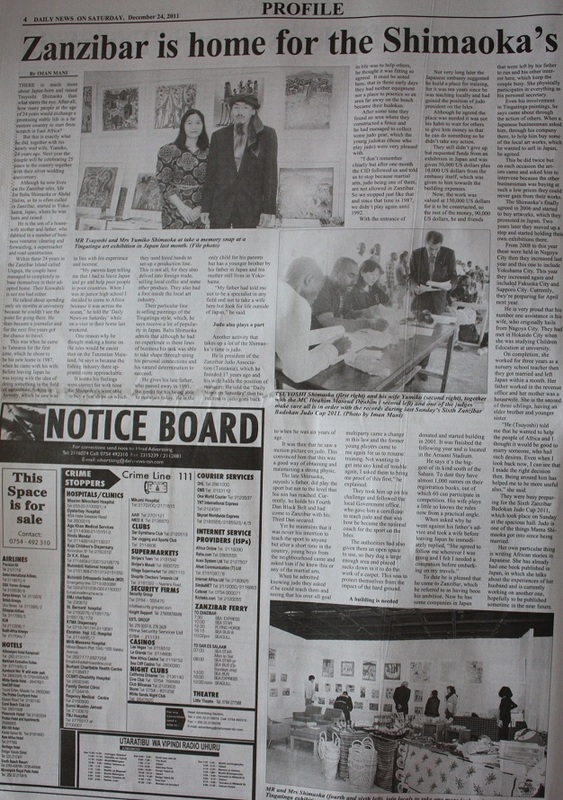 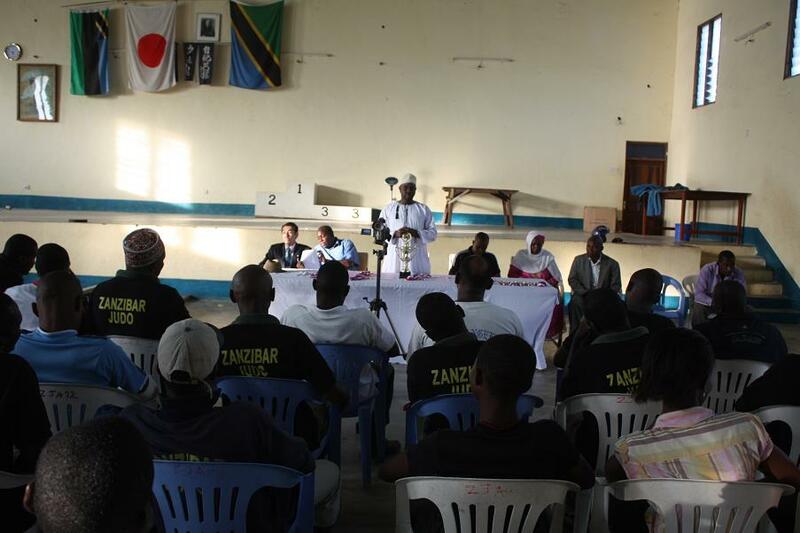 This ceremoney was organized by National　Sports Council Zaznibar on 30/Dec/2011 (Fri) at Zanzibar Budokan in Amani Zanzibar. 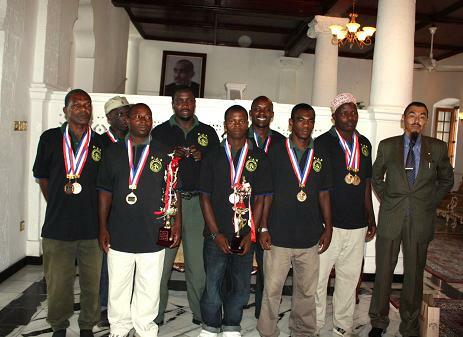 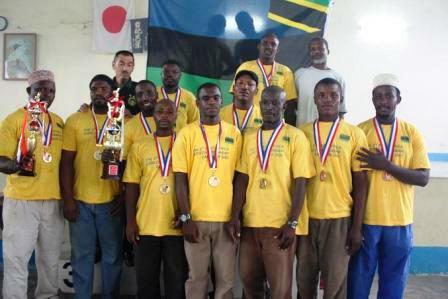 Zanzibar got 5Gold Medals and 4Silver medals and got Victory Cup for Men. 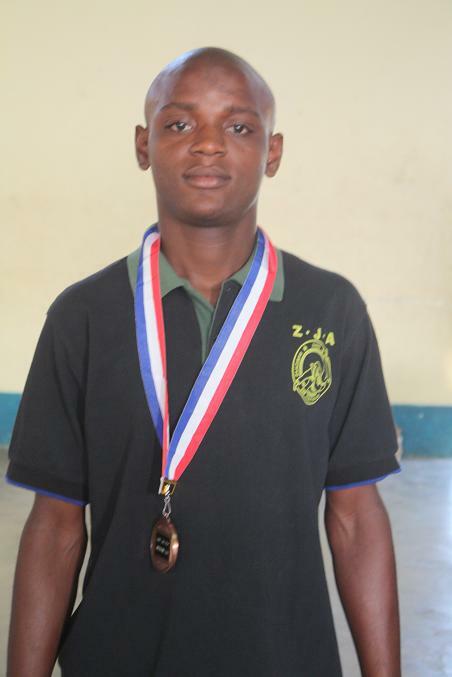 *He is the yongest player who got medal. 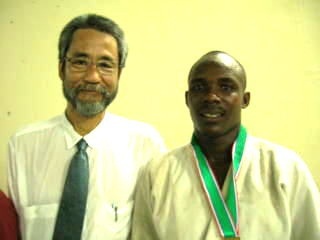 ZJA with Dr.Hidefumi INOUR awared to Ali Juma and Hamad Shaame for their efoot for long time. 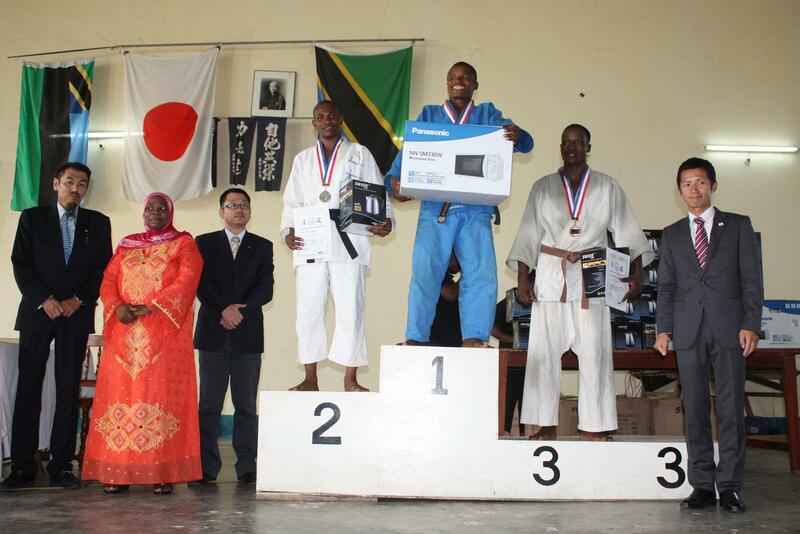 Zanzibar Judo Association organized the 6th ZANZIBAR BUDOKAN JUDO CUP2011 on 18/Dec/2011(Sun) at Zanzibar Budokan. 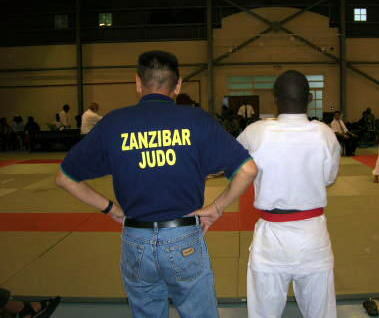 situated in Amani National Stadium in Zanzibar. 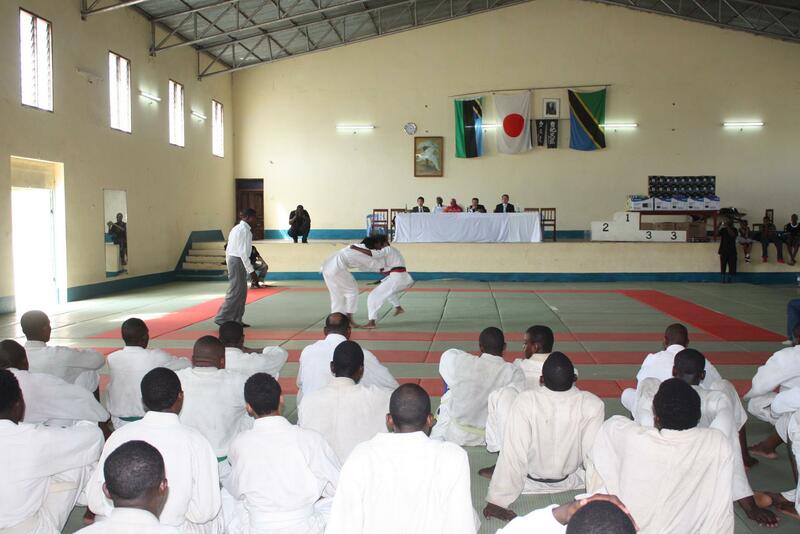 ZANZIBAR BUDOKAN JUDO CUP2011 is weight category National Judo Championship in Tanzania and one of Qualifying competition for selecting the National team 2012. 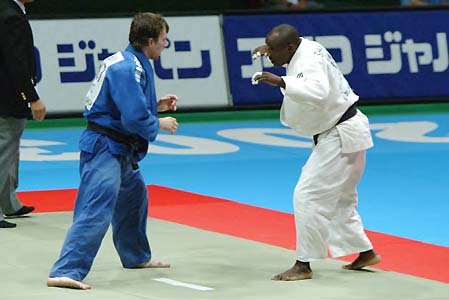 It was so exiting Judo Championship, all of Judo players tried their best and competed well with level up than last year. 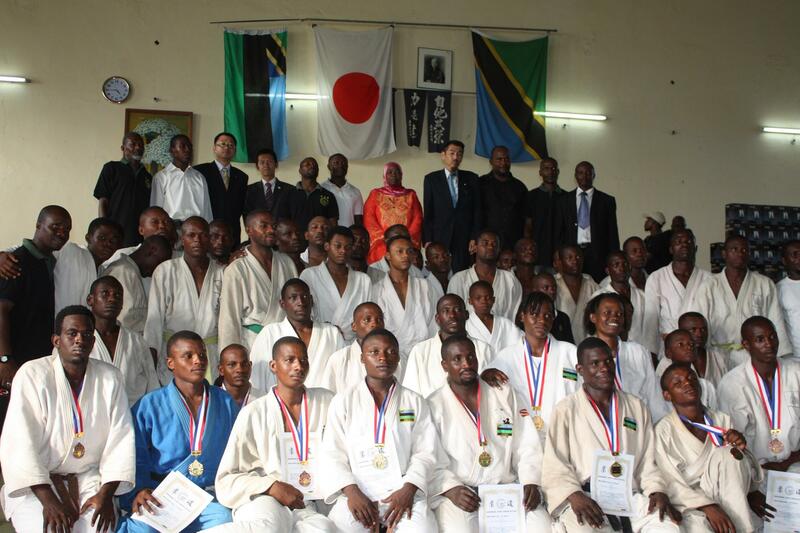 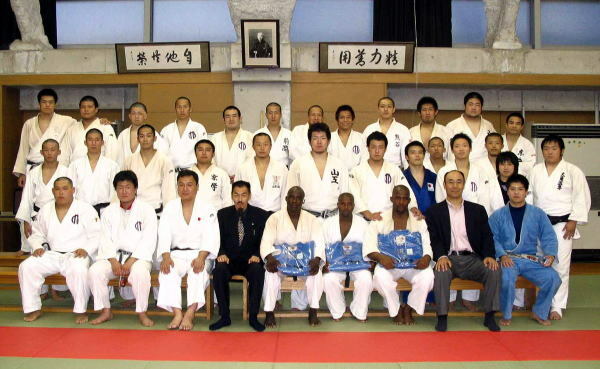 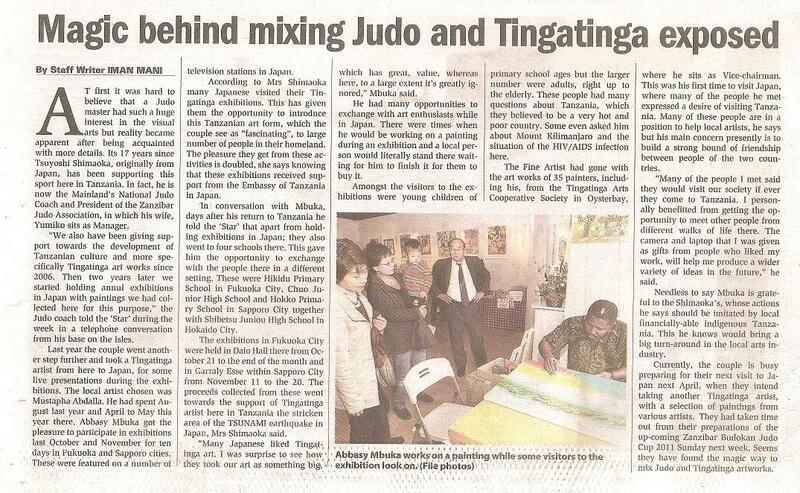 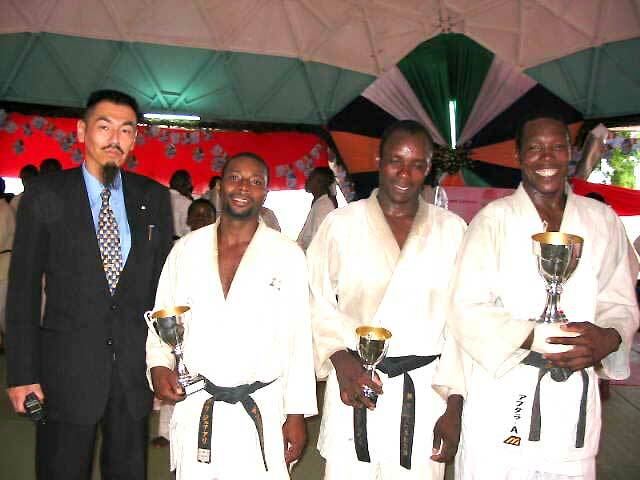 *Zanzibar Budokan Judo Cup started in2006. 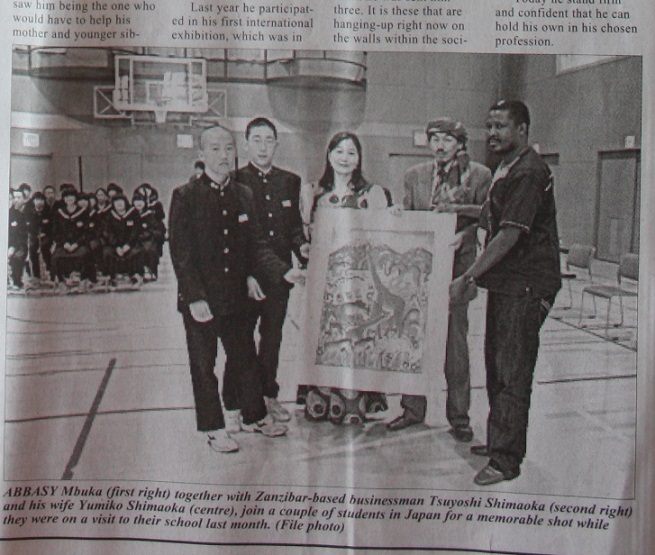 This is the 6th. 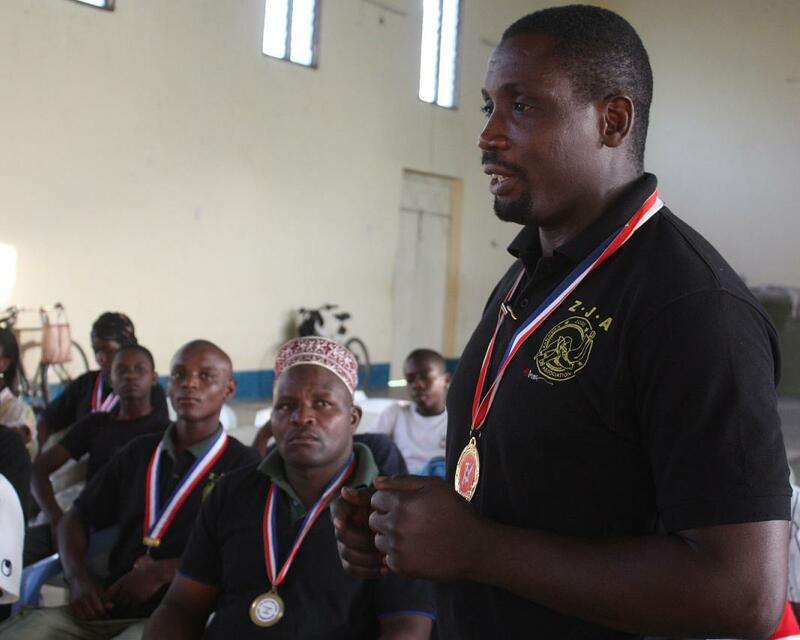 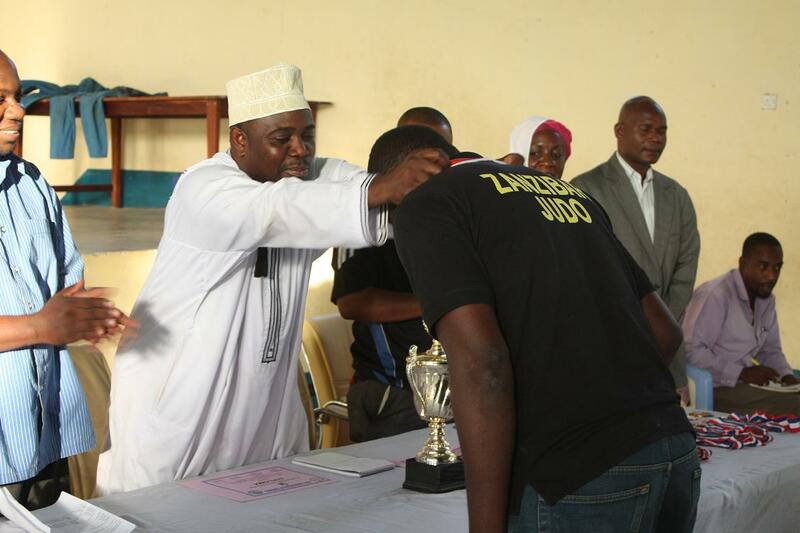 Zanzibar Judo Association try to prepare big gifts every year, for making up motivations of judo Players in this country. 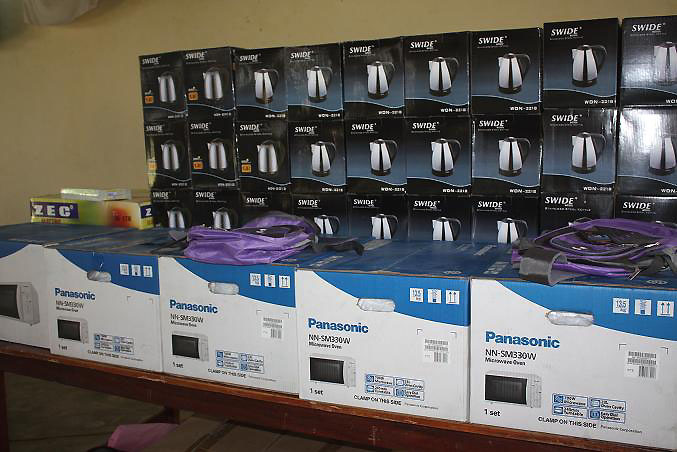 In this time ZJA prepared Microwave Oven for first winners of each categories and Electric Kettle for all participators. 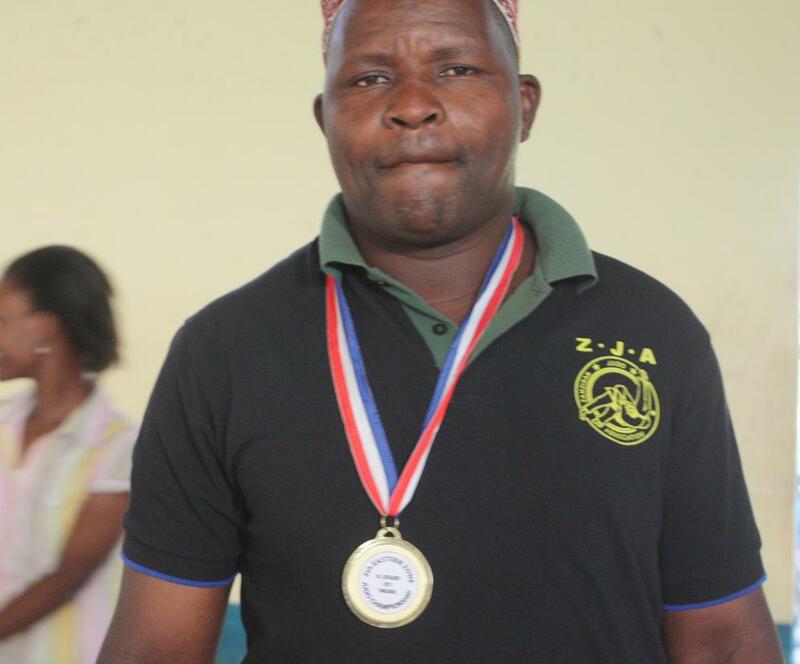 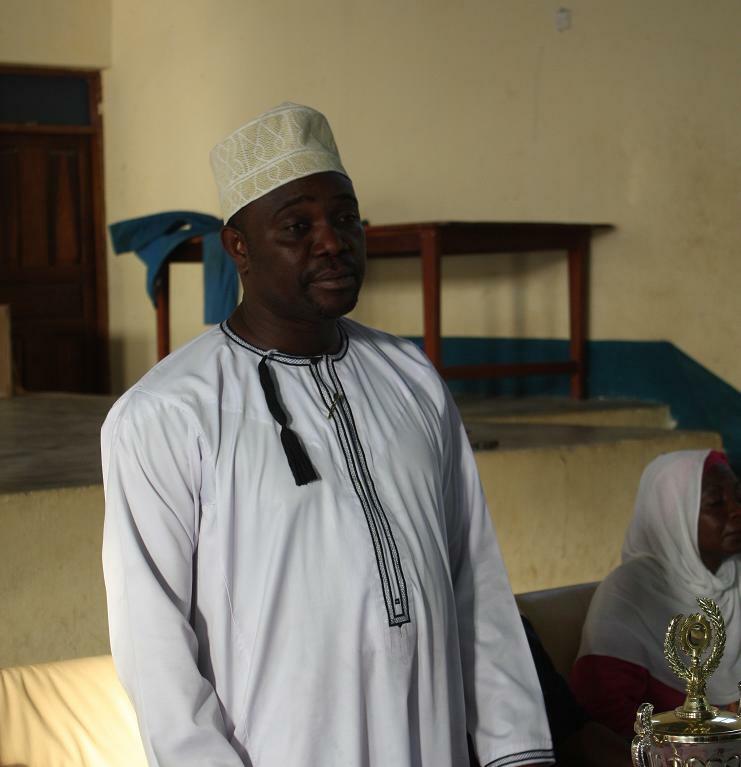 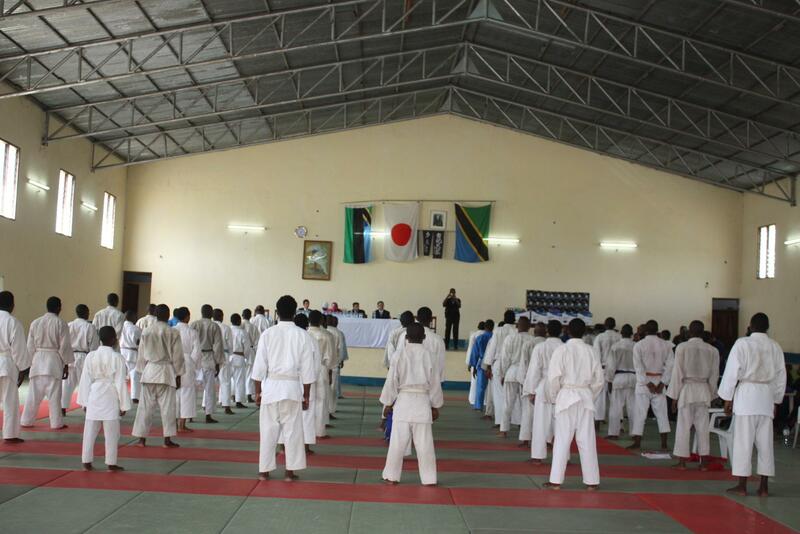 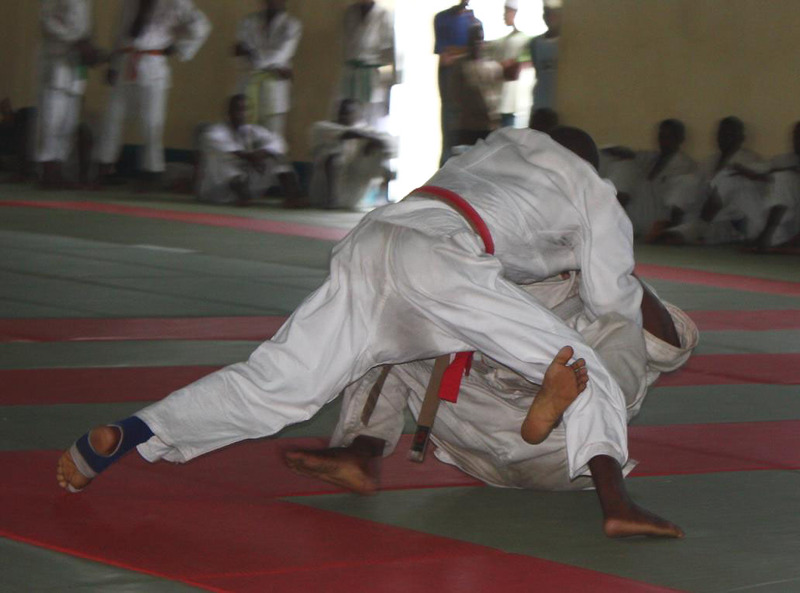 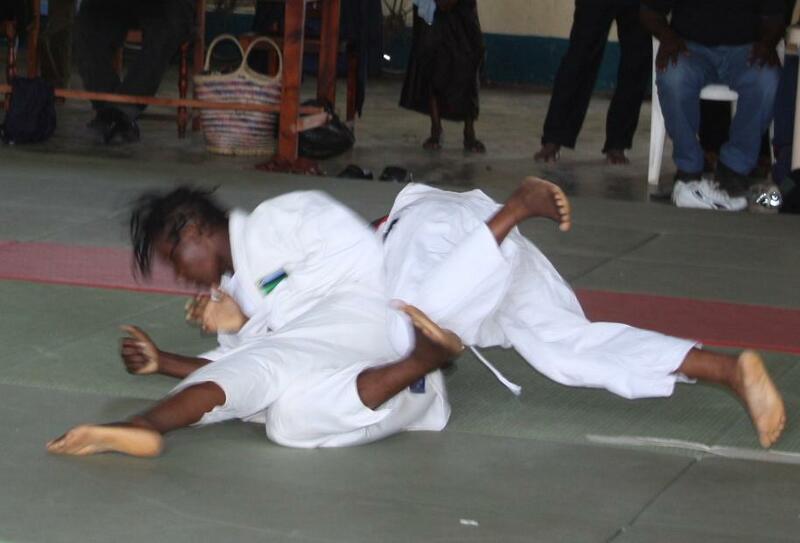 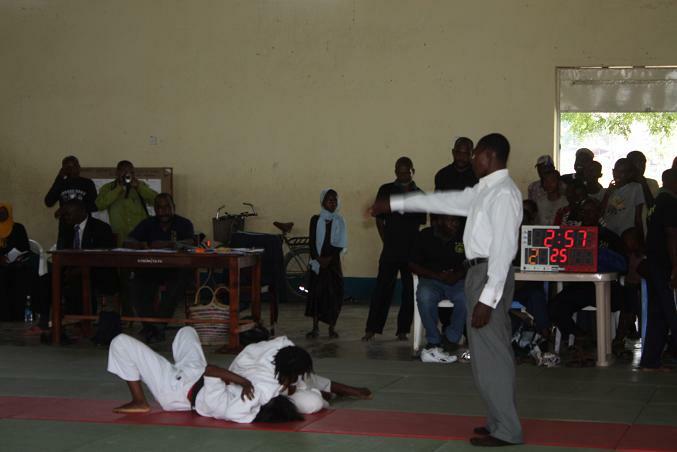 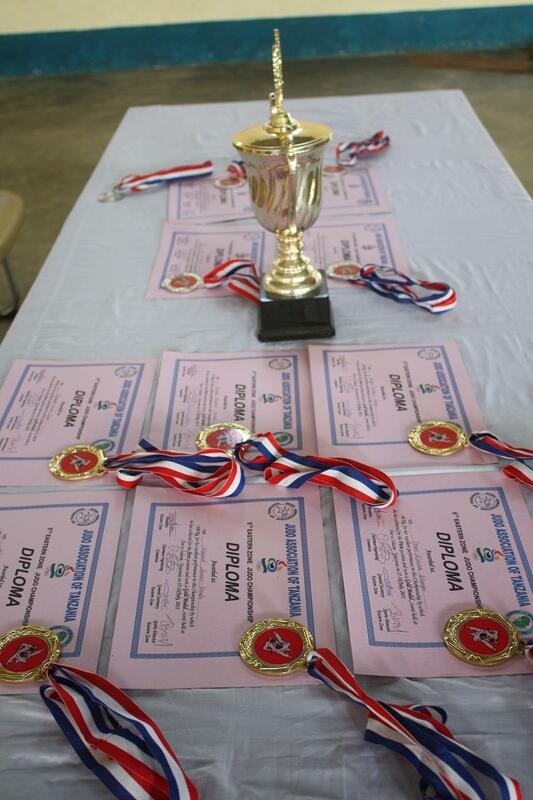 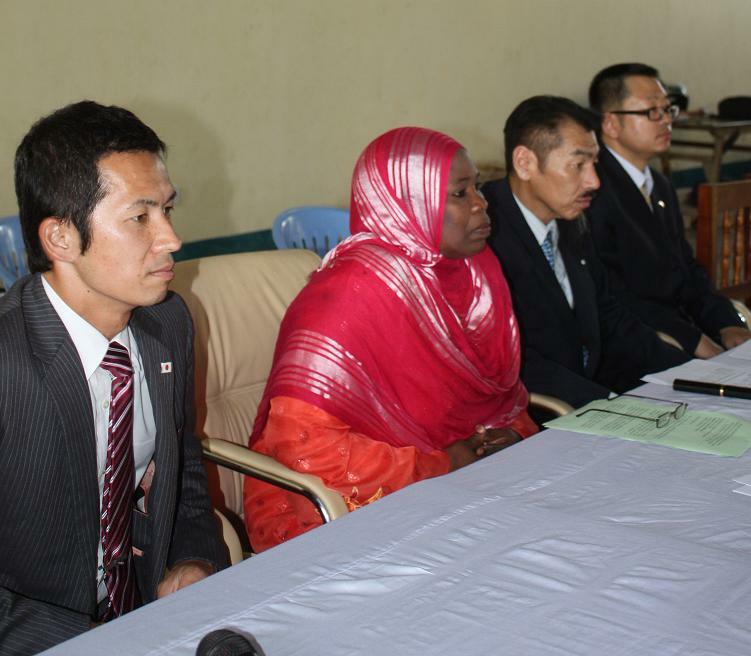 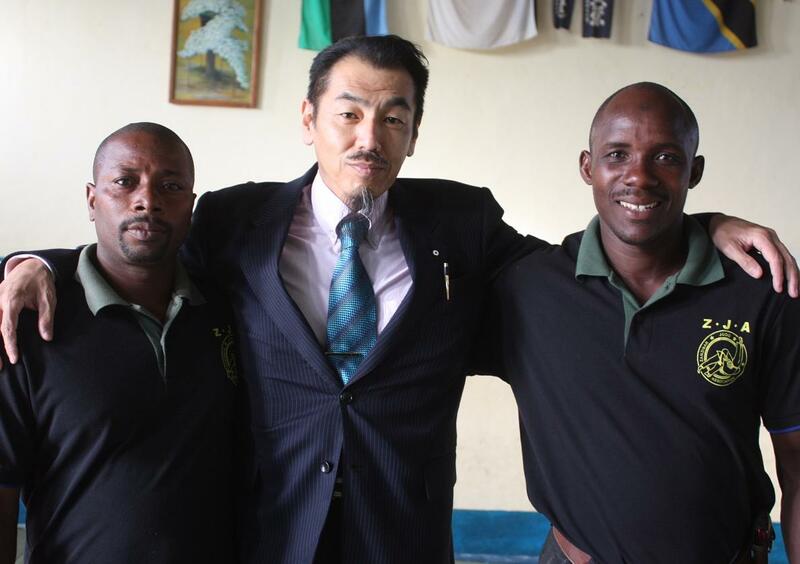 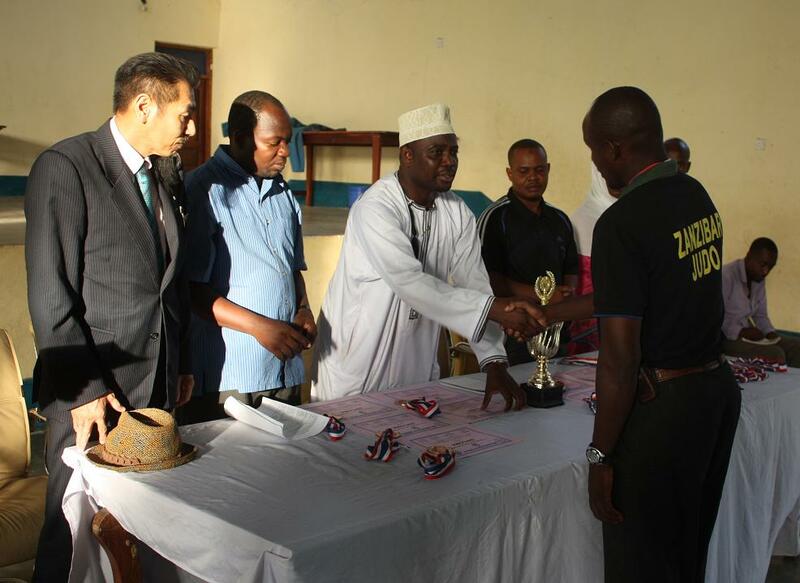 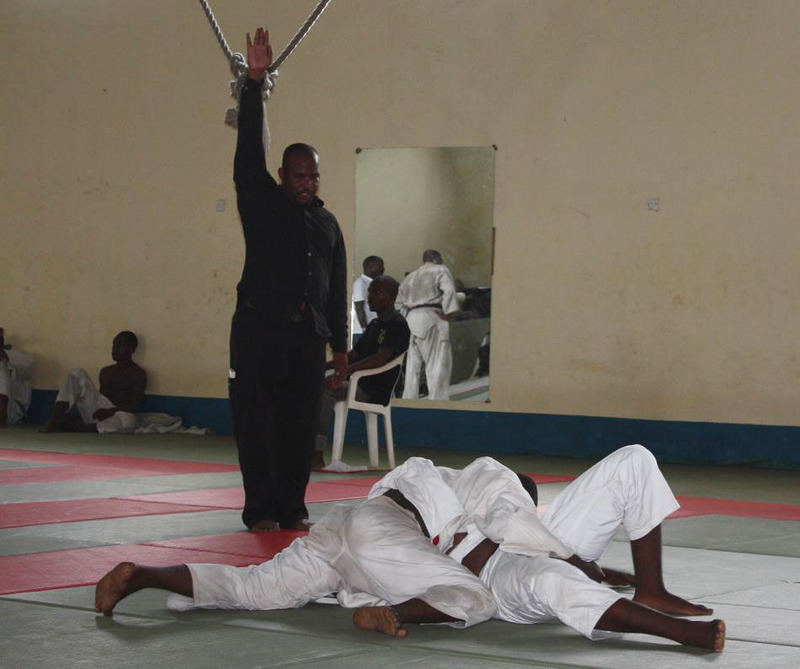 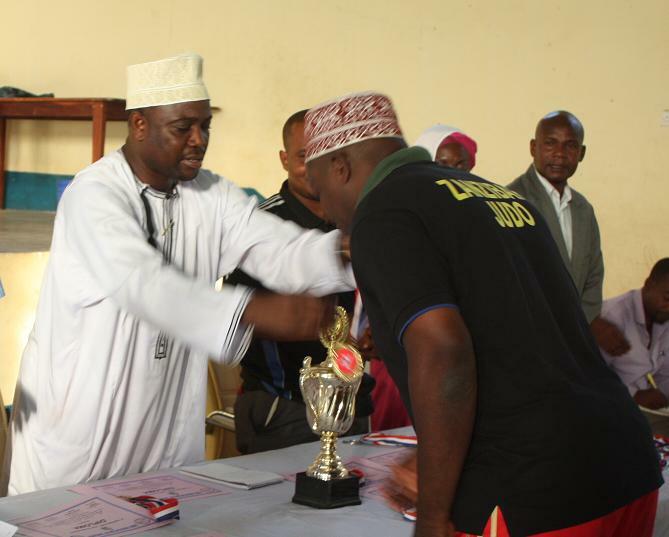 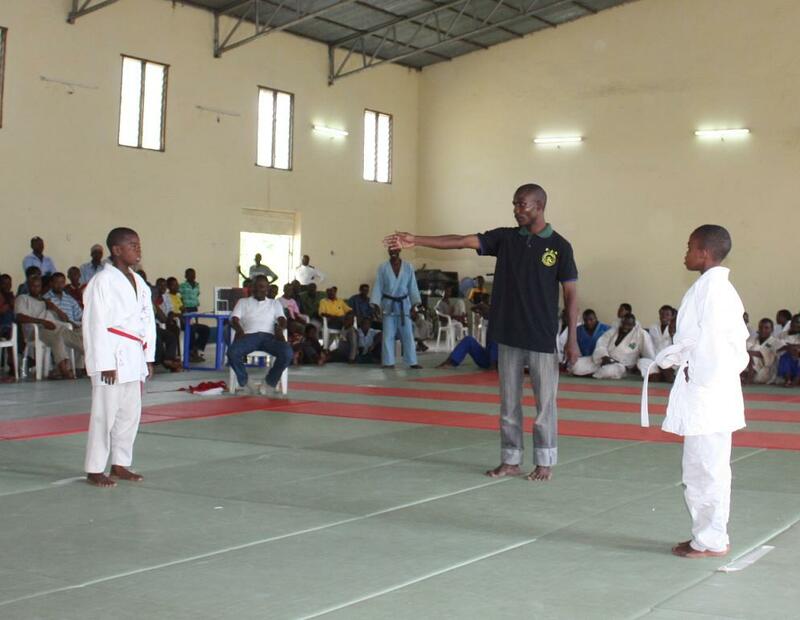 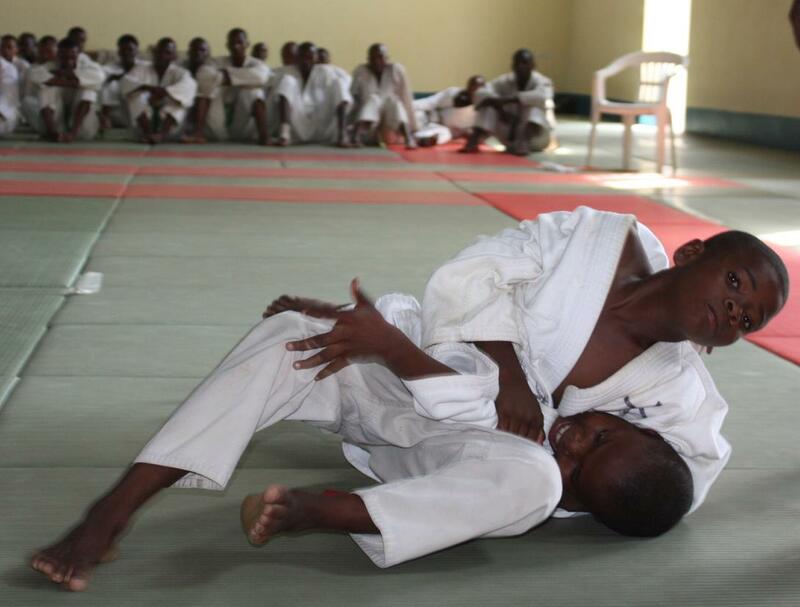 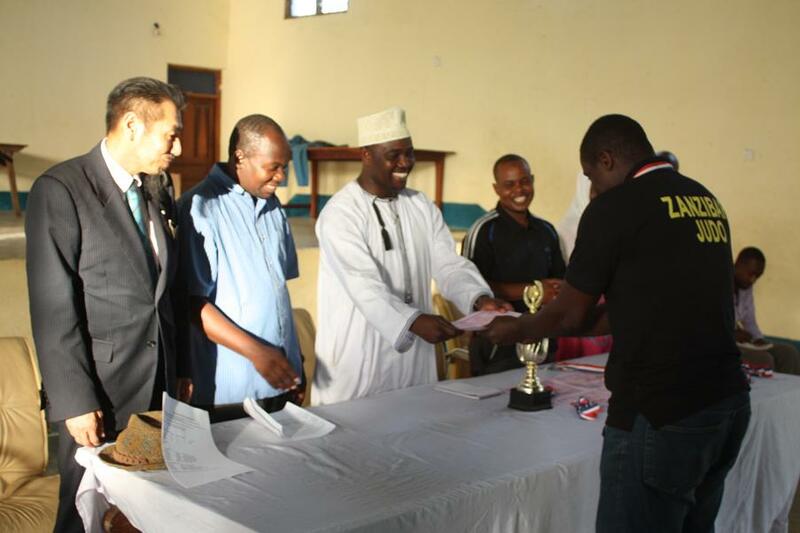 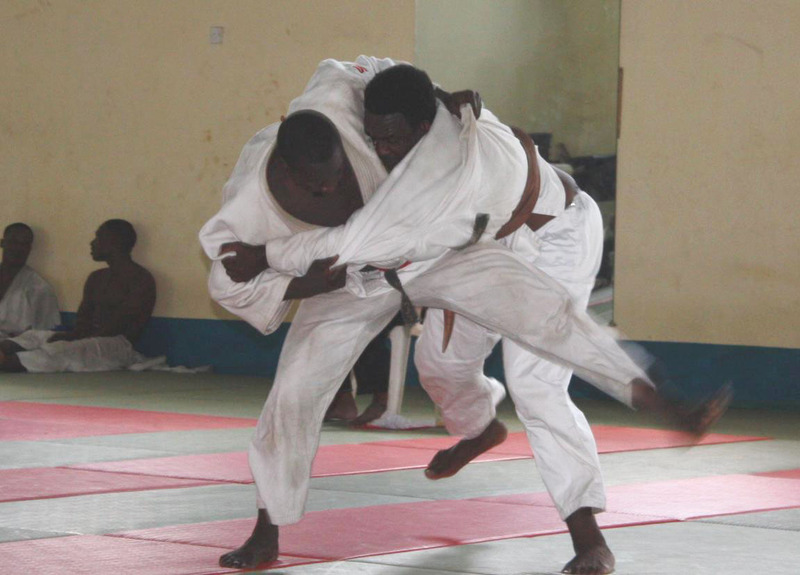 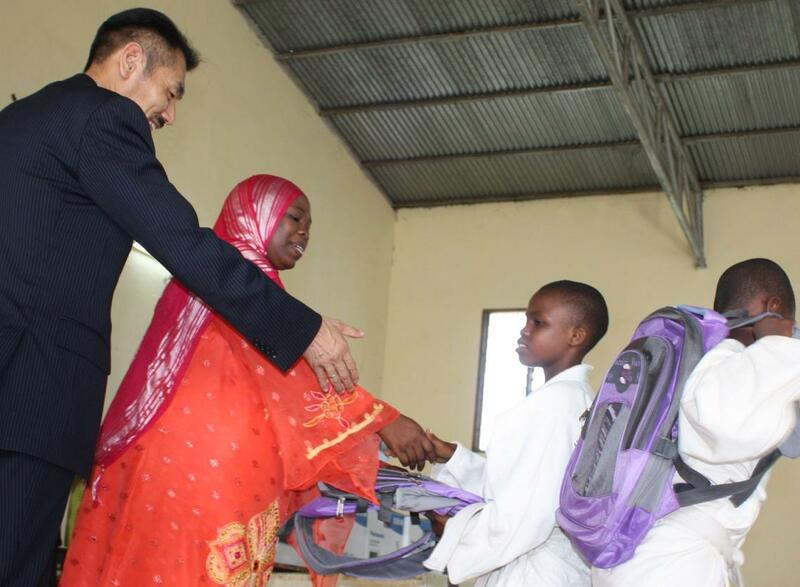 In the 6th ZANZIBAR BUDOKAN JUDO CUP,ZJA hold Exhibition matches for Boys and Women.